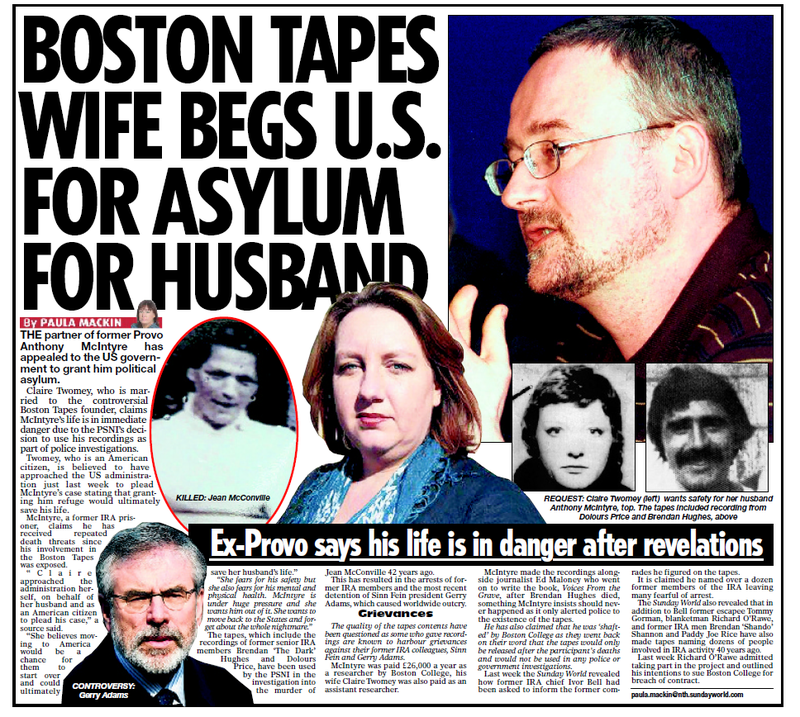 Why The Deafening Media Silence On Suspected Provo Bugging Of McIntyre Family? Well over two months have passed since allegations surfaced that the home phones and internet connection of the McIntyre family in Drogheda, Co Louth may have been bugged and, in particular, that conversations between Carrie McIntyre and members of the US embassy staff in Dublin were intercepted and their contents passed on to a journalist working for the Sunday World newspaper. A question has been tabled about the affair in Dail Eireann by Brendan Smith. Initially directed at the Taoiseach it has now been steered towards the Minister for Justice, Frances Fitzgerald. In addition there are rumors that the Provos have set up a dirty tricks unit specifically charged with handling the fallout from the Boston College affair, which includes a computer expert and the former IRA intelligence chief. A black propaganda unit has also allegedly been organised comprising a college lecturer, a former journalist and a figure once charged by the IRA with the task of vetting condemned informers’ confessions, whose task is to blacken the names of those involved in the Boston project. Just a rumour but one not without some substance. Enough material there, one would have thought, to whet the appetite and interest of your average red-blooded journalist. After all, if true, the bugging could have been done on behalf of members of the next Irish government. If not, then how did the Sunday World acquire such intimate knowledge of the McIntyres’ affairs? Except this is Ireland and apart from a smattering of coverage, like these two pieces in the Guardian which can be read here and here and a report in the BBC, the Irish media has by and large managed to completely ignore the story. And even the Guardian, the paper that bravely exposed the NSA’s dirty tricks and championed Wikileaks (at least initially), has gone silent about a potential scandal on its own doorstep that could plunge Ireland’s fastest growing political party into a Nixonian mire. This piece from Mondoweiss should put Netanyahu in the dock at the Hague. But it won’t unless the mainstream media, especially in the U.S., follow up with some vigorous investigative journalism. Let’s see, but don’t hold your breath. 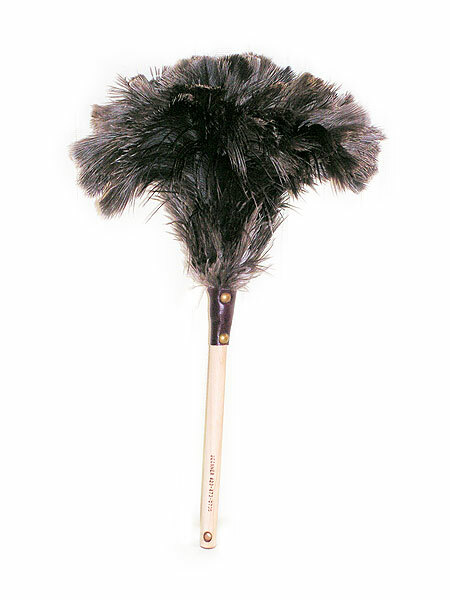 What Image Pops Into Netanyahu’s Mind When He Thinks Of John Kerry? While President Obama, Premier Cameron, most of Europe’s leaders and almost the entire leadership of the Western media is in no doubt that pro-Russian rebels in Ukraine were responsible for downing the Malaysian airliner and are telling their people just that, nay whipping up a Russophobic frenzy amongst their people, the said Western powers’ intelligence agencies are being far more circumspect. ive days after Malaysia Airlines Flight 17 was shot down over eastern Ukraine, U.S. intelligence officials are still not certain who fired the missile that felled the doomed airliner, nor have they conclusively linked the attack to Russian military forces, according to senior intelligence officials. “The leading theory” at this point, said a senior intelligence official, is that pro-Russian separatists equipped and trained by Russia fired the deadly surface-to-air missile on July 17, killing all 298 passengers aboard. But U.S. analysts aren’t sure whether the shooters were trained directly by Russian military forces or if they learned how to fire the missile while serving in the Ukrainian military, officials said. In a briefing with reporters on Tuesday, three senior intelligence officials laid out the evidence and showed that the Obama administration is no closer to decisively pinning the blame for the shoot-down on Moscow or Russian President Vladimir Putin. A mountain of circumstantial evidence points to the Russian-backed separatists. But “there’s no Perry Mason moment” in the intelligence, said one official. The officials offered little new information about the MH17 investigation, except to say that U.S. intelligence analysts are now persuaded that the jet was downed by accident, likely by forces who believed they were taking aim at a Ukrainian military aircraft. The officials circulated widely available information, including photographs of the suspected missile launcher posted to social media in recent days, and pointed to voice recordings posted to YouTube of separatists acknowledging that they shot down a jet, which they later discovered was a civilian plane. One official stressed that analysts weren’t relying solely on social media information, such as tweets and online videos. But nothing in the agencies’ classified files has brought them any closer to definitively blaming Russia. The senior intelligence officials likewise emphasized Russia’s military support to the separatists and said this helped build a case against Moscow as being ultimately responsible for providing the missile launcher that was used to shoot down MH17. The officials showed reporters a satellite photo of what they said was a camp in Rostov, Russia, near Ukraine’s eastern border, where separatists have been trained. A photograph taken Monday shows the camp apparently filled with military equipment, indicating that it remains an active training ground. The officials also said that as recently as Tuesday, intelligence showed that as many as 20 military vehicles were moving from Russia into Ukraine, indicating that Russia has little intention of scaling down its activity in the region. The officials were especially concerned with countering various theories put forward in the Russian press that claimed Ukrainian military forces shot down MH17. Dismissing the stories as “propaganda,” the officials spent about half of the briefing debunking claims that a Ukrainian SA-11 battery or an attack plane was the guilty culprit. One official said the intelligence agencies wanted to avoid a repeat of the Russian invasion of Crimea, in which Russian media dispensed stories that the soldiers who’d occupied the territory weren’t really directed by Russia — a claim that has been widely debunked. “It’s a very old tactic,” said Meredith. I don’t plan to solve the mystery — “Colonel горчица in the Library with the missile battery” — and I’m not even going to connect any dots. Rather, I’m going to take some prominent aspects of the current narrative and critique them, primarily by asking questions. I’ll begin with two caveats. The Downing Street “Memo” is actually the minutes of a meeting, transcribed during a gathering of many of the British Prime Minister’s senior ministers on July 23, 2002. Published by The Sunday Times on May 1, 2005 this document was the first hard evidence from within the UK or US governments that exposed the truth about how the Iraq war began. Now, the foreign policy establishment is, like, an establishment: It doesn’t change much year to year, and the same bad actors — like the neocons! Like the Kagans! Like Victoria Nuland! Like John Brennan! — appear, Flexian-like, over and over, though playing different roles in different episodes. So, if “the intelligence and facts were being fixed around the policy” before the 2002 midterms by Bush, you can bet your bottom dollar that “the intelligence and facts are being fixed around the policy” before the 2012 midterms by Obama (or, as we like to call him, “the President”). Please file all objections with The Department of No! They Would Never Do That! Second caveat: In our critique, we should use as little digital evidence as possible. No Twitter, no FaceBook, and no YouTube, unless the provenance is absolutely ironclad, which for all practical purposes means hardly ever. (Judy Miller, after all, was once a respected reporter.) That is, when the Christian Science Monitor prints a headline like Web evidence points to pro-Russia rebels in downing of MH17 we should guffaw, and point out that “web evidence” is a contradiction in terms. Why? Because intelligence agencies can “seed the Internet with false information,” that’s why, and that includes tweets, Facebook pages, and YouTube videos. Who had the motive to shoot MH17 down? Was MH17 diverted from its course? If so, by whom and why? Was MH17 shot down by a missile, and if so, how could that happen? [I]t is a pretty safe guess to say that, especially considering the war going on right across the border, the Russians literally had it all on [the day MH17 went down]: civilians radars, of course, but also long range radars (ground based and airborne), lots of advanced advanced surveillance (long range detection) radars, lots of tracking and fire control radars numerous radio and signal interception stations. Since all the data from this integrated network of systems could be fused at the higher level command posts we can safely assume that the Russian side had something like “20/20 radar vision”: just about as good as it can get. … [A]nd speaking of Uncle Sam and his EU minions. They also know. The US and NATO maintains a 24/7 surveillance of Ukie and Russian air space at least to the Urals, possibly even on the other side (though I am not sure). All the intelligence services already know the story. It’s only the public that’s in the dark. So as you read our famously free press baying and howling and speculating, keep that in mind. 1. Who had the motive to shoot MH17 down? Well here at least the reply is unambiguous: only the junta in Kiev could have benefited from this tragedy. For the Russians and the Novorussians [the “rebels,” or “separatists”], this is something between a real pain and a disaster. Just when the Novorussians were winning without any overt help from Moscow and just when Moscow was gradually successful in denouncing the human costs of Poroshenko’s murderous policies – suddenly the entire planet focuses just on one downed aircraft and the imperial corporate media blames it all on Russia. As for Poroshenko, this disaster is God-sent: not only has everybody forgotten that much promised “surprise” turned out to be a disaster, he can now kill scores of Novorussians with no risks of that being reported in the corporate media. Not only that, but that gives the Ukies a golden excuse to ask for “protection” from their “aggressive and threatening neighbor”. Again, the only party who can benefit from this disaster is the junta. I don’t know about you, but to me #3 is the one blinking red. The reaction of the Ukrainian media to the disaster is near unanimous on one point made forcefully by various newspapers including the popular daily, Segodnya. It says that the crash has become a “a turning point” in the armed conflict between the Ukrainian government forces and the pro-Russian separatists and that the war is no longer a local conflict. Well, that’s an interesting point of view, isn’t it? If it’s no longer a “local conflict,” just what kind of a conflict is it? 2. Was MH17 diverted from its course? If so, by whom and why? Nico Voorbach, a pilot who flew the same journey earlier this summer for KLM, and who is president of the European Cockpit Association, said poor weather might have been the reason why flight MH17 found itself in the sights of a surface-to-air missile launcher. The aircraft was shot down in the separatist Donetsk region of east Ukraine. It also emerged that flight MH17 had initially filed a flight plan requesting to fly at 35,000ft above Ukrainian territory. On entering Ukrainian airspace, however, the plane’s pilots were instructed to fly at 33,000ft by the local air traffic control due to other traffic. Malaysia Airlines said the pilots had to follow the lead of the local authorities. Ukraine’s air traffic control (ATC) did not permit Malaysia Airlines (MAS) Flight MH17 to scale 35,000 feet, said MAS director of operations Captain Izham Ismail. He said MH17 planned to fly at 35,000 feet but according to the ATC, there was other traffic at that time, and the ATC ordered the doomed plane to fly at the next best altitude at 33,000 feet, which was above the restricted altitude. According to Malaysian Transport Minister Datuk Seri Liow Tiong Lai, the direction given by the ATC needed to be obeyed since the route was under the ATC’s jurisdiction. Izham said the route which MH17 flew was located about 100km from the restricted area, adding the ATC was actually the one which ensured whether any aircraft could use the route. Where is MH17 flight plan? Where are MH17 flight recorders? Where are the audio recordings of conversations between Ukrainian ATC and MH17? Where is MH17 flight plan? Nobody seems to have actually seen it, or provided a copy of it. (Readers, feel free to add to my hasty research in comments.) So we really don’t have ironclad proof of deviation at all; deviation relative to what? A tug of war is under way for possession of doomed flight MH17′s “black box” recorder amid reports the device, which could provide the key to the crash investigation, has already been sent to Moscow. Aviation experts said the black box, comprising cockpit voice and data recordings, would establish for certain whether the plane was shot down and where the deadly missile may have been fired from. The news service Interfax reported that rebel Russian separatist forces in Ukraine had already found the black box and agreed to give it to a Russian-run regional air safety authority. The analysis of the flight recorders “is the responsibility of ICAO International Civil Aviation Organization; it’s the responsibility of those states which have the most direct connection to this tragedy – the Netherlands, Malaysia and the states whose citizens were on board, and of course Ukraine,” Lavrov said. 11.22 Failure to make available the “black box” flight recorders from the downed Malaysia Airlines plane would cause Russia “major embarrassment”, a UK computer systems engineering professor has said. Not handing over black boxes to the appropriate investigating authority is “not playing by the rules”, said Professor David Allerton of the University of Sheffield. His comments came amid reports that Russian separatists have possession of the black boxes – actually orange in colour – at the crash scene. And there the trail goes cold. 15:29: Ukraine’s SBU security service has confiscated recordings of conversations between Ukrainian air traffic control officers and the crew of the doomed airliner, a source in Kiev has told Interfax news agency. So, if we want to establish, with some degree of certainty, whether MH17 deviated from its flight plan, we need the flight plan, the flight recorders, and/or the audio recordings. We don’t have the flight plan. The flight recorder, if indeed it has been found, is either still in the hands of the separatists, in the hands of the Russians, at ICAO, or possibly in transit to ICAO. (Actually, there are two boxes, one for data, one for voice, so there are 8 possibilities, not 4.) And the audio recordings — which I assume would be pilot to ATC only, and hence would not include others in the cockpit, which the cockpit voice recorder would do — are in the hands of the organs of state security in Ukraine. (Yes, we could use Flight tracker, but that won’t help us with deviations without the flight plan.) So how much do we really know? Not a lot. 3. Was MH17 shot down by a missile, and if so, how could that happen? As Russia and Ukraine [and not the US?] trade blame over the apparent shooting down of a Malaysian airliner, they appear to agree on one thing: the type of Soviet-era missile that brought it down. But if an SA-11 Buk missile, known as “Gadfly” in NATO, struck the aircraft and killed all 298 on board, that won’t solve the mystery of who did it: Russia, Ukraine and Russian-speaking rebels have all claimed the missile in their arsenals. Circumstantial evidence points increasingly to the separatists, Western officials and analysts say, pointing to rebel claims of shooting at Ukrainian military aircraft at approximately the same time. The rebels were believed to have used a similar system to shoot down a Ukrainian Antonov AN-26 [transport] aircraft on Monday. Leaked audio clips reveal the moment Russian rebels realise they have shot down flight MH17, Ukrainian intelligence agencies claim. The SA-11 missile system has a device known as an IFF, or Identification Friend from Foe, and commercial airliners typically have a beacon [the transponder] that transmits their identification, [Theodore Postol, a professor of science, technology and national security policy at MIT] said. It’s possible the shooter didn’t know how to interpret the data or use the IFF properly, Postol said. It’s also possible the airliner’s beacon was turned off or not working [Huh? ], he said. But, Soviet-era air defense systems as the Buk are equipped with IFF (Identify Friend or Foe) systems meaning that they are able to detect if the system is targeting a civilian plane through its transponder code. Therefore, provided the operators are trained enough, they’ll be able to distinguish between a Ukrainian transport plane and a large airliner. If not, they will simply shoot. Intelligence, including photographs and electronic intercepts, compiled by Ukrainian spies show that three Buk-M1 systems [ also known as the SA-11 Gadfly under the North Atlantic Treaty Organization designation] were shipped out of eastern Ukraine on flatbed trucks in two waves in the early morning of July 18, said [Vitaly Nayda, the head of the counterintelligence division of Ukraine’s security service]. A system missing a missile crossed the border in a flatbed truck to Russia at 2 a.m., and two other missile systems with complete set of missiles crossed at 4 a.m., he said. Mr. Navda said that his agency has shared this intelligence with U.S. officials, but it wasn’t possible to immediately verify his information. And at this point, I’m irresistibly reminded of Saddam’s (non-existent) WMDs, which were also said to have disappeared, on trucks, over the border into Syria. Once again, how much do we really know? I don’t want to belabor the history here, but the average age of a House personal staffer is 31. Therefore the average House staffer was 31 – (2014 – 2002) = 19 years old when Bush fixed the intelligence and facts around the policy to get the country into the Iraq War. I don’t know if you can remember what you were doing when you were 19, but if you were like me, whatever it was you were doing wasn’t a critique of White House tactics for trumping up the case for war. I’ve gotta say, the separatists aren’t dunces — I mean, at least they aren’t Nazi wannabes or Mad Max types; Ukraine isn’t Somalia — and so even with a somewhat fluid and organic command structure, it’s hard for me to imagine a rebel commander handing over a missile battery to what must be a reasonably technical team without saying something like: “Oh, and before I go, try not to shoot down any civilian aircraft, OK?” And if the command structure is fluid, wouldn’t the missile guys feel free to respond “Sorry, chief. No can do. Do we still push the button?” But I don’t have a military background, so I’m not sure my sense of the absurd has been triggered appropriately. And it’s not unknown for officers to do extremely stupid things. Watch this and bear it in mind during the coming days of contrived outrage and hysteria. Doesn’t excuse what happened in Ukraine but it puts things in perspective, as in: file under ‘hypocrisy’. The disturbing video of yesterday’s slaughter by the Israeli navy of four young Palestinian boys, which can be seen here (you may need Quicktime to view it), courtesy of Mondoweiss, brings home more than any amount of words the real strategy behind the military offensive: terrorise the civilian population in Gaza so that they pressurise their political leaders to grant Israel what it wishes. Exactly the same strategy was employed by Loyalist paramilitaries in the first two decades or so of the Troubles in Northern Ireland when innocent Catholics were targeted and murdered, sometimes with psychopathic brutality, in the hope that the resulting terror would persuade the larger Nationalist community to turn against the IRA. Instead the opposite happened. Catholics were more inclined, not less, to turn to the IRA for defence, especially as Britain’s forces of law and order often either turned a blind eye or colluded, directly or indirectly, in the murder campaign. The US government’s role in the Israel-Palestine conflict is analagous to that played by the British in Northern Ireland in as much as the claim to be an impartial arbiter was undermined by the reality of their behavior on the ground, in the case of the US with no strings, massive military, political and financial aid to Tel Aviv. And once again the US stepped up to the plate on behalf of Israel after yesterday’s beach massacre with a State Department spokesperson implicitly blaming Hamas for the death of the four boys by failing to accept the Blair-Egyptian-Netanayahu ceasefire proposal. Just as the Loyalist terror tactic failed to deter Catholic support for the IRA, and may even have fueled it, the Israeli military strategy will likely drive Palestinians in Gaza into the arms of Hamas, intensifying a conflict which is rapidly becoming a public relations and political disaster for Israel and a geopolitical catastrophe for the US. Believe it or not, the people who devise America’s foreign policy in Foggy Bottom are all said to be intelligent, aware and perceptive people.